Using a common template is an easy way to promote uniformity and cohesiveness to the site. In addition, by bundling with it a standardized table of contents (TOC) and navigation system, changed links can be updated throughout the site by updating one TOC file, saving many webmasters a lot of work, and eliminating dead links. If this is an existing page, note that it should replace everything down to and including the text of the page title. The page content must begin with an <h1></h1> title. A workaround if this is not this case is to add <br /> as the first page element. Note also that the filename extension must be .shtml for the virtual includes to work, and that they will only be visible online, and not in a local preview window. Don't forget to edit the <title> tag with what you want to appear in the page's tab. This will end the page with the standard footer, including the NSS address, copyright, and rotating sponsor ads. Be sure there are no extra lines (<p>&nbsp;</p>) following your content or below the footer, or they will cause blank spaces in your page. Some page content, particularly fixed-width tables, may not fit within the template width of 960. If your page flows outside the right margin, you'll need to adjust the table/column size(s) to fit. Pages that are necessarily very wide cannot be skinned. The font for all page content is Droid Sans or Droid Serif and is automatically applied by the CSS. Therefore all font tags in existing pages must be removed, unless they are specifically intended and required to override the CSS settings (not recommended). The background image nssback.jpg is applied outside the page area by the template CSS and will only be visible on monitors wider than 1024 pixels. This cannot be altered. Only this new, official version of the logo should be used on web pages; any and all previous versions should be updated. Presented here are four sizes, in .jpg and .gif format, as well as with outer glow and in black and white. (The .gif versions have transparent backgrounds.) They may, of course, be resized on your page to meet your need. (Always shrink a larger version; never expand a smaller one.) If other versions are desired, contact webmaster@caves.org. These logos may be simply copied/pasted onto your page, but this will result in redundant images on the site, which can lead to version creep. The preferred method of placing these images is to link to the graphics already in the /images folder. 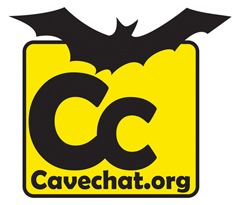 Simply copy/paste the complete URL below the image into the 'Src:' window in your html software, or directly into the page code, as for example: <img src="http://www.caves.org/images/NSS Logo Dale 080505 Tiny.jpg" width="67" height="34" align="top" />. If width and height are not specified, the graphic's actual size will be used, and you can shrink it manually, if needed. Relative URLs may also be used; all IO's are one level below /images, so ../images/NSS Logo Dale 080505 Tiny.gif will work. Table cells will conform to the size of their contents, or the size can be specified by dragging or coding. Many decorations options are available, or you can make the table invisible. Ultimately, we hope to give all webmasters access to the /httpdocs/images directory so that everyone can utilize the same graphics easily, and the same images won't proliferate all over the site in individual folders. 1. Right-click the graphic and select Properties; that will show you the full URL of the image. 3. Paste the image url into the placeholder, or in the code src between the quotes. Want to limit viewing of some of your content (e.g., member roster, newsletters, cave projects) to just your own grotto/group? You can protect this content by requiring a username and password to access it. Just follow the simple instructions here for setting it up. If you have problems or questions with your page editing, we'll do our best to assist you. Just contact webmaster@caves.org. Be sure to preview your work in both Internet Explorer, Firefox, Chrome, and Safari, as many elements behave differently in different browsers, and may also be affected by the version. Thanks for being part of the NSS Web Team!